It’s a well-known fact that drivers can be punished for driving over the speed limit, but you may not be aware that driving slowly can be equally as dangerous. In comparison to the UK, many other countries around the world make sure that all road users are aware of a minimum speed limit, due to the fact that slow drivers can often be just as responsible for causing severe accidents. Minimum speed limit signs are rare in the UK, but are often in place to make sure that road users are driving at a swift speed to keep the traffic moving. These signs are most often placed in tunnels, where emergency service vehicles can struggle to get through stationary traffic. What do minimum speed limit signs look like? Minimum speed limit signs are circular in shape and blue in colour with the minimum speed limit displayed boldly in the middle. Is there a motorway minimum speed limit? There isn’t a minimum speed limit for motorways, however, if you are spotted by police for driving too slowly, there is the risk of you getting pulled over. In most cases, a verbal warning is all that it will amount to, but in other cases, you could face nine points on your licence and a fine of up to £5,000 dependant on a decision made by the court. Penalty points will stay on your licence for four years, which may then have a huge impact on the cost of your car insurance – a real problem for new drivers who already face extremely high insurance bills. Between 50mph and 70mph would be the recommended minimum speed limit for motorway driving. Any slower and you could become a real hazard for other road users. 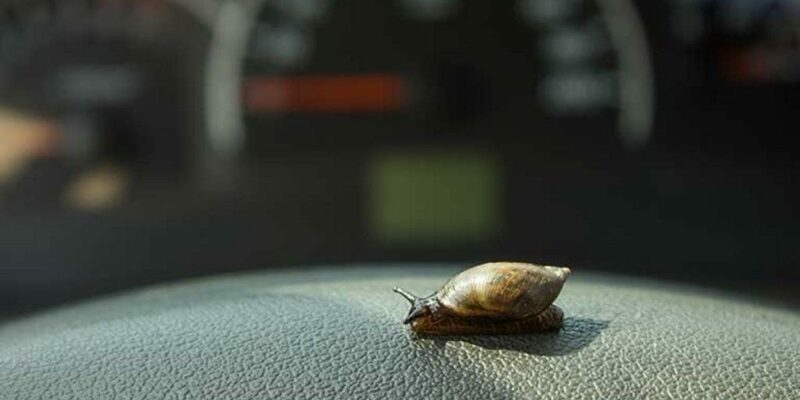 Why is driving slowly a danger? In most cases, driving too slowly can be a threat to other drivers, due to your vehicle becoming an obstacle among the flowing traffic. The constant breaking may cause other drivers to overtake and undertake dangerously out of frustration. You may be wondering how you should be driving if you shouldn’t be driving too slowly or over the limit. Quite simply, providing that there are no serious weather conditions to take into consideration, you should aim to stick to the speed limit of each road to be on the safe side. If you would like to read similar blog posts, please take a browse on our website for further tips and advice.